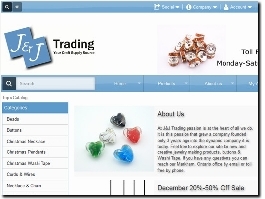 We sell beads,cords and jewellery findings in amazing prices. Especially, we produce climbing cords and sell them in unique prices.Visit us! 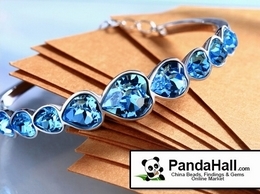 PandaHall has the largest selection of Beads and Jewelry findings. 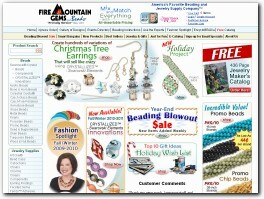 Since 2003, we''ve offered big saving on 200,000+ quality beads wholesale. 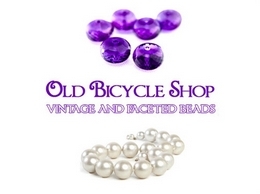 In 2007 the Old Bicycle Shop opened its doors on eBay selling mainly faceted beads and recently we have moved into gorgeous, hard to find vintage beads. Family owned UK supplier if craft and beading components including Swarovski crystals, glass beads, flat back rhinestones, beading wires, tools, findings and semi precious beads. Offering a range of jewellery making supplies including tool kits, pliers, tweezers, Swarovski Crystal beads, pearls & rhinestones. Semi-precious gemstones, Beadalon, Soft Flex and Soft Touch beading threads, sterling silver and silver plated findings. 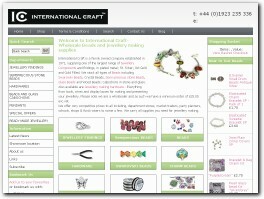 International Craft is a family owned company established in 1971, supplying one of the largest range of Jewellery Components and findings, in plated metal; St. Silver; 9ct Gold and Gold Filled. We stock all types of Beads including Swarovski Beads, Crystal Beads, Semi-precious stone Beads, Glass Beads and Wood Beads; Cabochons in stone and glass. Also available are Jewellery making hardware. Since 1973, we've had the opportunity to be a part of your jewelry-making experiences and cherish the relationships we've built with designer-artists, suppliers and employees. 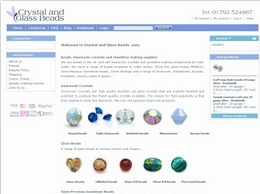 With over 3000 beads & findings to choose from we're Europe's one-stop shop for the best selection of jewellery making supplies and beads - Swarovski Crystals, Gemstone Beads, Bali Beads, Thai Hill Tribe Silver Beads, Freshwater Pearl Beads, Charms, Findings, Kits, Tools, Metal Clay Supplies and more! We supply a wide range of quality tools and equipment for the amateur and professional jeweller and manufacturing industry, our knowledge and services are not only available in the U.K but already used throughout the globe with our worldwide website. The range that we offer consists of gemstones, cabochons, crystals, precious metals, findings, base metals, base findings, books, jeweller’s tools, jewellery tool equipment and we now have available a new craft section which will be expanding throughout the year. 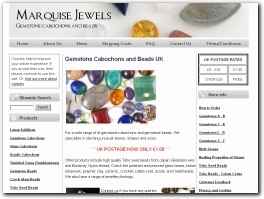 UK based Online Bead Shop offering Beads of all sizes, shapes and materials, plus Brass Charms, Jewellery Chains, Embellishments and Jewellery Findings. 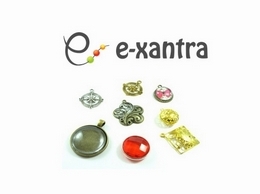 We also stock authentic Vintage Beads, Vintage Jewellery Chain, Vintage Charms and Vintage Findings. All types of round and oval calibrated cabochons plus designer gemstone cabochons, for jewellery making and other crafts. Young Jewelry International Limited Company specialized in the design, manufacture and export of Stainless Steel Jewelry, Titanium Jewelry, Tungsten Jewelry and Accessories. 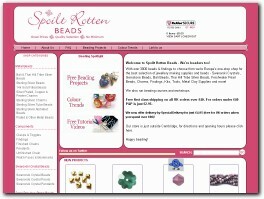 BeadDelighted stocks and supplies a vast range of beads and beading accessories for jewellery making and designing. Whether your idea is a handmade bracelet, necklace or tiara you will find everything you need to compliment your design. 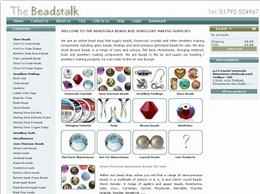 Benjamin's Beads Australia is an online bead shop specialising in quality jewellery making supplies. All orders are dispatched on the same day.